And there shall be no night there. Erected by Capt P Murray late 91st Highlanders in affectionate remembrance of his parents. David Murray of Braemore died 4th March 1853 aged 78. Wife Janet McDonald died 14th June 1866 aged 86. 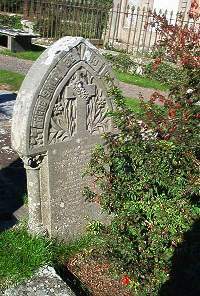 Son John Murray died 28th August 1868 aged 55 interred at Dunnet. Daughter Christina Murray died 4th March 1869 aged 52. Son James Murray 17th June 1872 aged 62 interred at Edinburgh. Son David (Jnr) died in infancy interred at Braemore.